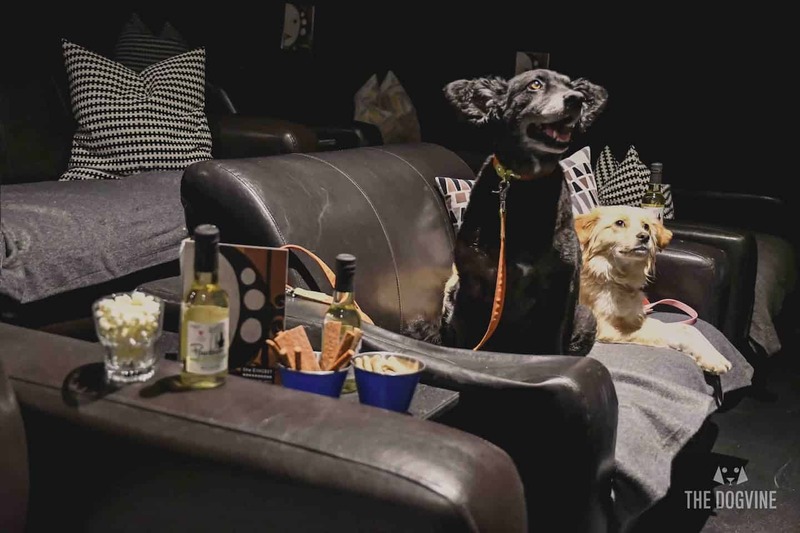 Even though there’s so much to do in London for both you and your doggy companion, sometimes it’s good to get out of the capital and experience what the rest of the UK has to offer for you and your hound. 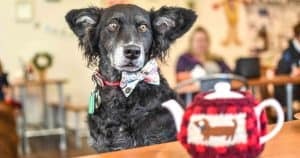 It’s now easier than ever to head away for a few days on a dog-friendly short break, and you don’t even need to travel far to have a great time – there are plenty of places you can stay and explore just two hours from London. Thanks to London’s great transport links, you can even reach many destinations by train and have a car-free holiday! 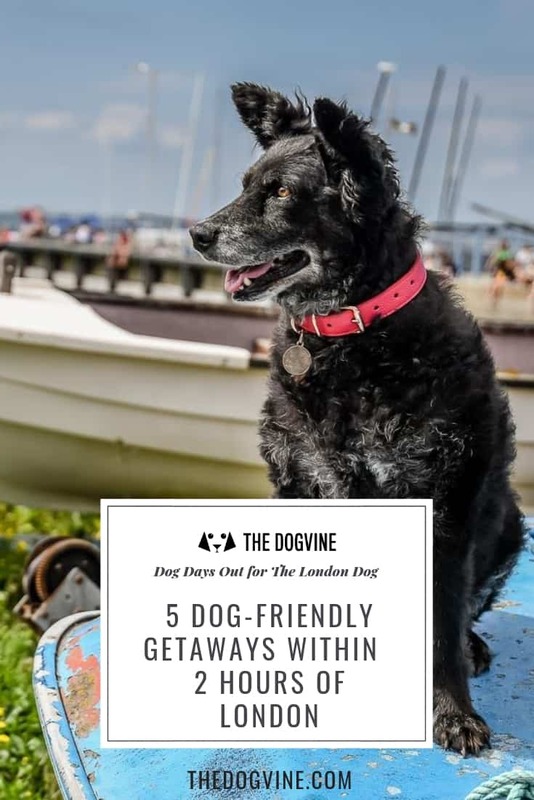 We’ve teamed up with Canine Cottages, who offer a choice of thousands of dog-friendly holidays across the UK, to reveal five favourite dog-friendly holiday destinations within two hours of the capital. 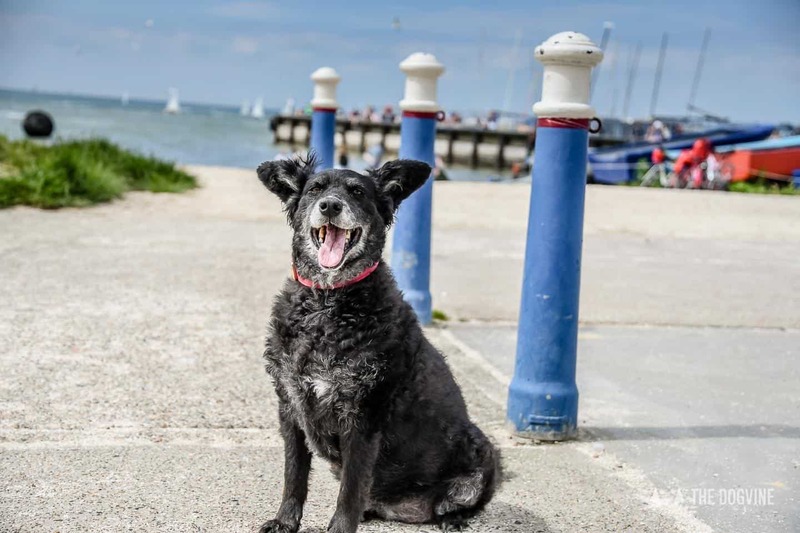 Get a taste of the seaside, explore beautiful farmland and countryside and discover magnificent castles with your dog by your side in wonderful Kent. Popular seaside retreats such as Whitstable (which featured on the blog earlier this year) and Margate are reached in around 90 minutes by train, where you can roam along sandy beaches and nostalgic promenades. You can also visit the unmissable White Cliffs of Dover. For a taste of the countryside, use Royal Tunbridge Wells as your base to explore the High Weald AONB (Area of Outstanding Natural Beauty), a stunning landscape with plenty of walks through open countryside, past medieval manors and historic houses. 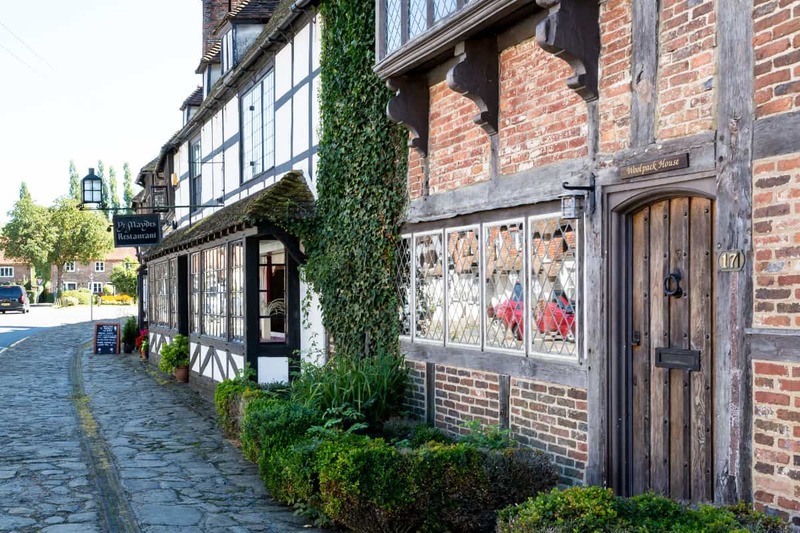 Alternatively, you can pay a visit to the cathedral city of Canterbury, where you and your dog can explore historic cobbled streets and marvel at the timber-framed houses. Home to perhaps the perfect examples of quaint English villages, the Cotswolds is perfect for anyone seeking a dog-friendly rural retreat. During your visit you’ll fall in love with the villages nestled amongst the rolling green hills: clusters of cute cottages made from honey-coloured stone, set amongst peaceful ponds and trickling streams. It’s the perfect place for a walking holiday complete with plenty of dog-friendly pubs to stop at along the way. We also suggest a trip to the Cotswold Water Park, where more than 150 lakes can be found in a 40 square mile area. You can reach the eastern side of the Cotswolds in under two hours either by car or by train, where you’ll find some of the best places to visit and stay in the area, including Woodstock, Burford, Bibury and Chipping Norton. If you’re looking to escape the crowds, the sprawling landscapes of Suffolk offer the perfect getaway for you and your dog. Like Kent, it has a great blend of coast and countryside but with a completely different feel to it. 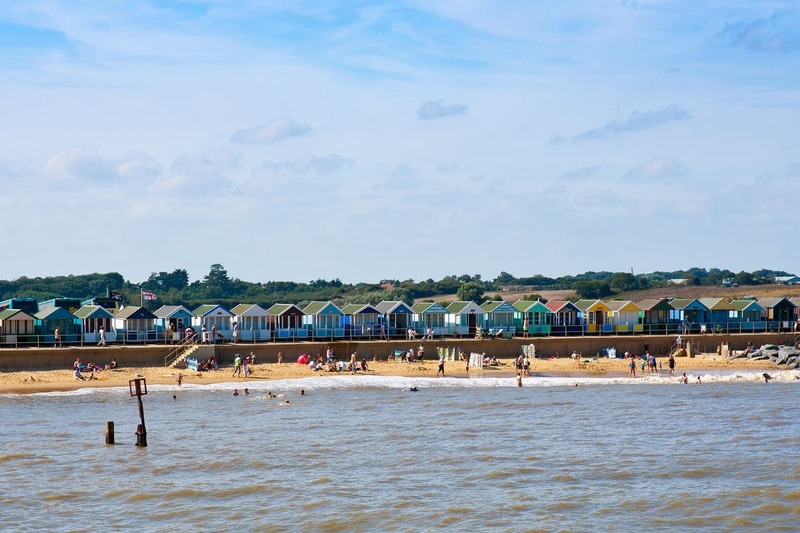 There are miles of great coastline to explore, starting from Felixstowe, less than two hours from London, taking in beautiful seaside towns such as Aldeburgh, Southwold and Lowestoft, with gorgeous sandy beaches and lovely long walkies to enjoy. Suffolk is also home to some charming market towns such as Ipswich, Eye and Bury St Edmunds, home to a historic abbey and cathedral. If you’re looking for a break that’s a little more off the beaten track, Suffolk may be just the place you’re looking for. 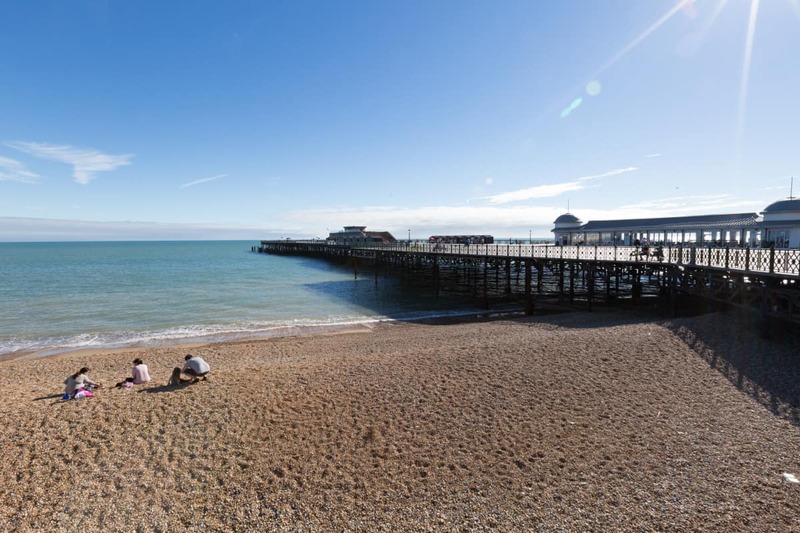 Home to classic seaside resorts such as Brighton, Eastbourne and Bexhill-on-Sea, Sussex is perfect for those looking to get away to the coast with plenty going on close by. 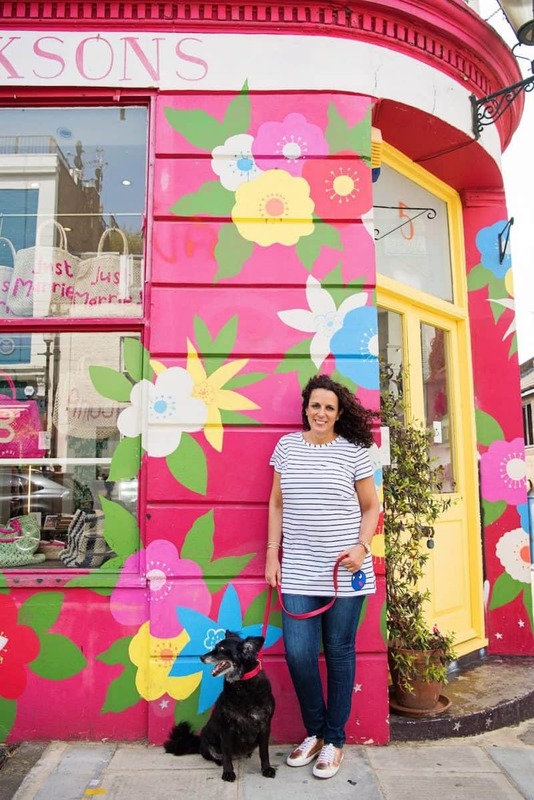 Brighton is one of the UK’s most dog-friendly cities, where there are several dog-friendly cafes, restaurants, beaches and attractions including museums and even crazy golf. It’s also just an hour away by train, making it one of the more popular holiday destinations for Londoners. Sussex also offers some amazing walks in its extensive countryside, being home to both the High Weald AONB and the South Downs National Park. 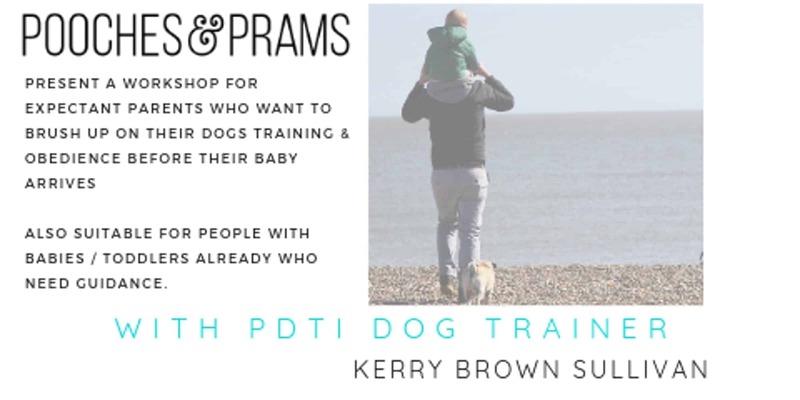 The South Downs Way is a great way to take in the sights of the National Park and is sure to be an epic journey for both you and your pooch. Much of Sussex is reachable in under 2 hours by train – among the other places within easy reach are Hastings (1 hour 20), Arundel (1 hour 20) and Chichester (1 hour 30). 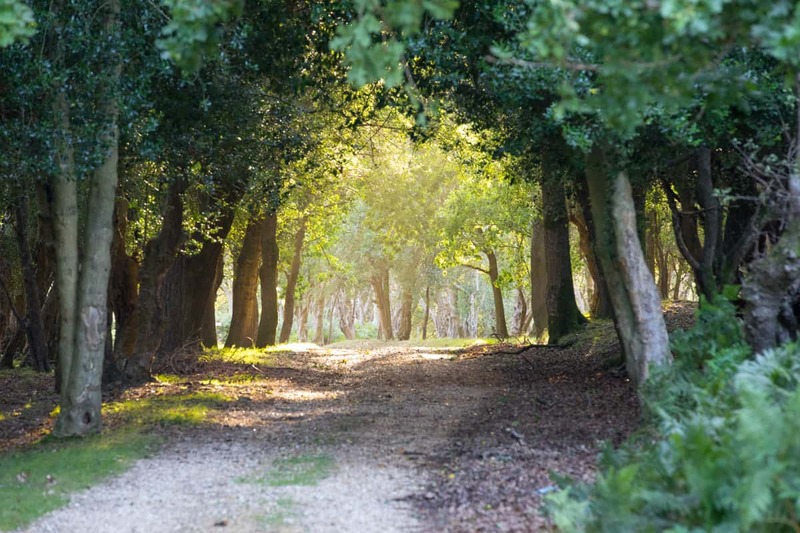 Perfect for lovers of the outdoors, the New Forest is one of the UK’s most underrated National Parks. Picturesque villages are scattered throughout the landscape of rolling moorlands and woodlands, connected by footpaths and trails through some amazing scenery. The Rhinefield Ornamental Drive is one such example, passing through an arboretum, with a deer sanctuary nearby. The New Forest is also home to its own stretch of unspoilt coast and home to pretty villages and towns such as Lymington, as well as a series of impressive fortresses to check out. 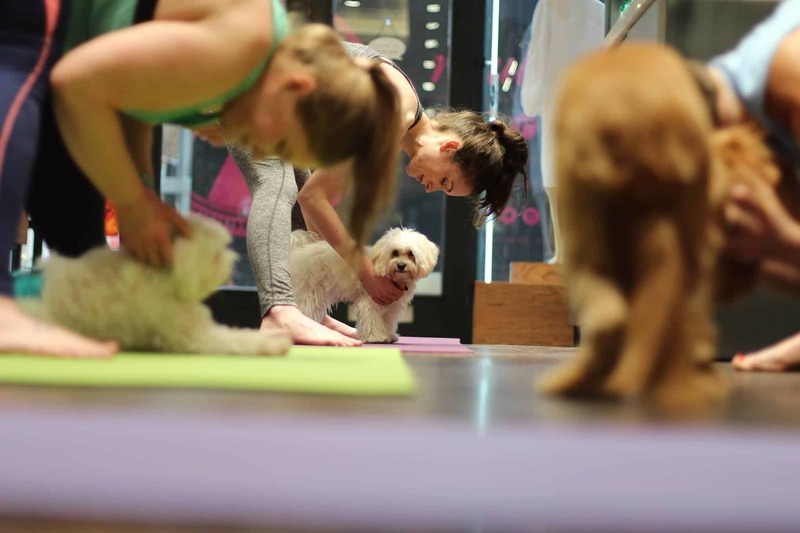 It’s extremely dog-friendly thanks to the variety of walks available as well as the pet-friendly places to eat on offer. The northern edge of the New Forest is drivable in less than two hours, however you can also get the train from London directly to either Brockenhurst, at the heart of the New Forest, in 1 hour 30, or New Milton, on the southern edge, in 1 hour 40. 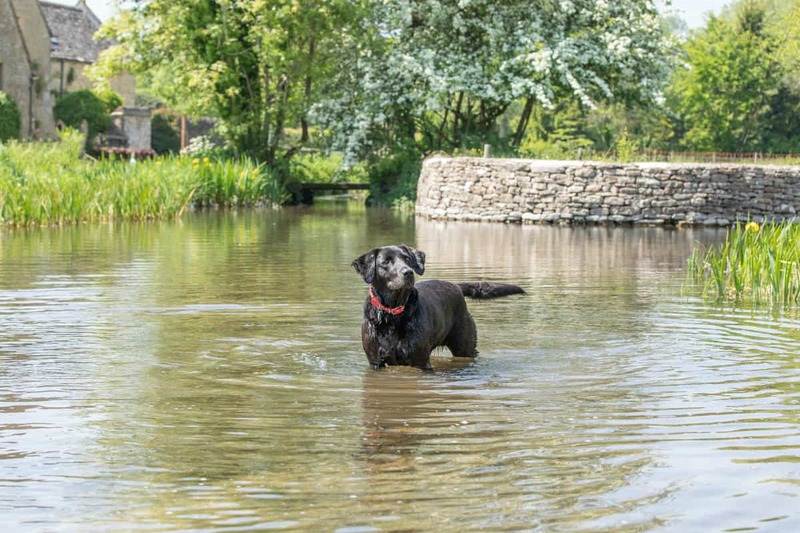 Where’s your favourite place to go for a dog-friendly break outside of the capital? 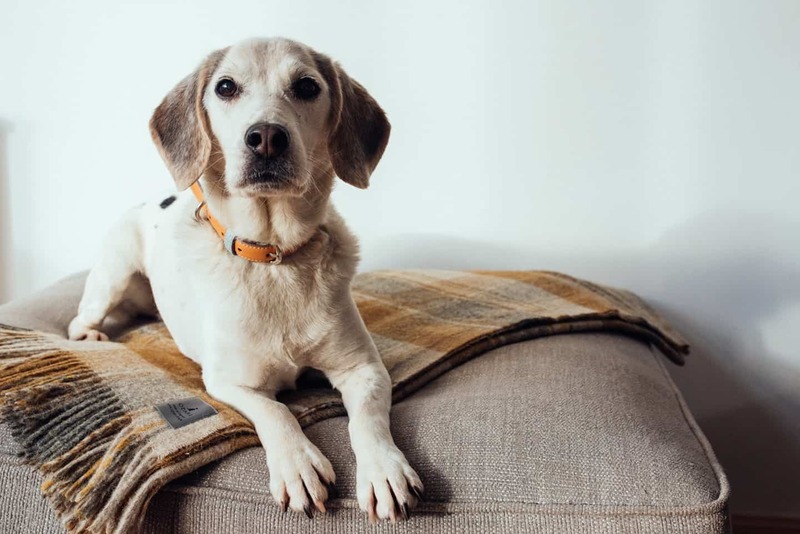 This is a sponsored collaboration with Canine Cottages, a collection of over 1500 personally inspected dog-friendly holiday cottages across the UK. Photos courtesy of Canine Cottages unless otherwise credited. Thank you for a very informative article. We have visited many of these places with our little Chloe on driving trips. 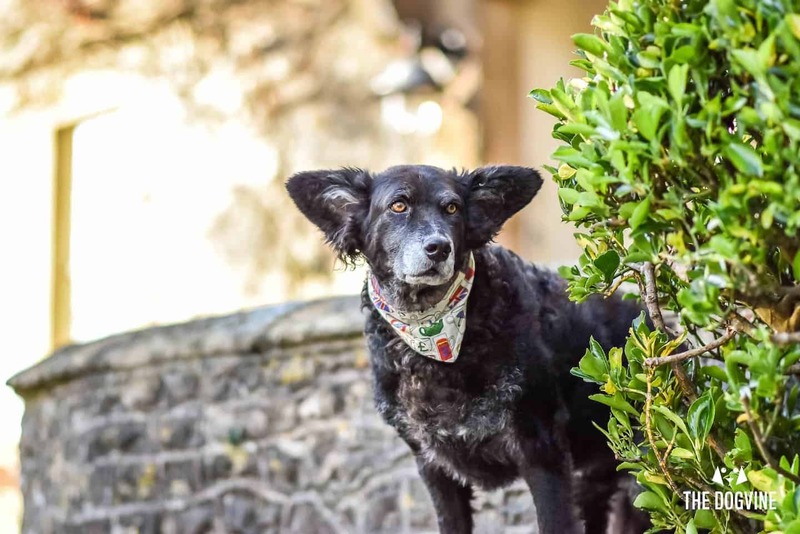 She is an old lady (will be 15 on Christmas Day) so she does not run nor like the beaches – but she will take short walks in lovely gardens. 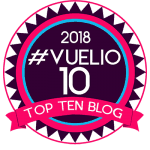 There are 2 particular places which we have visited and will re-visit in 2019. Cotswold Wildlife Park in Burford (https://www.cotswoldwildlifepark.co.uk/) – the only zoo in the UK which we know, allows dogs! We have been there twice. Of course there are certain areas (eg the Madagascan Walkthrough) where dogs are not allowed (understandably) but pretty much 70% of the zoo and gardens (very nice) dogs are allowed on leash. Helmingham Hall in Stowmarket, Suffolk (https://www.helmingham.com/) – they won 2017 Historic House garden of the year. The gardens are absolutely beautiful. We were there in early May (spring) and apple blossom walks and formal gardens were the highlights of our visit. Dogs are allowed in their amazingly beautiful gardens (yeah, unlike National Trust properties) and walk along the soft manicured grass paths (no hard gravel). Both places have nice cafes and gift shops, but the café services at Helmingham were slow and they ran out of food by the time we got to the serving counter! Brilliant tip about the zoo… we’re heading to Broadway for NY and have a toddler too so this would be an amazing thing to do with both of them… fantastic. We’ve been with Amber almost everywhere we can in the UK. Bovey Castle in Devon is also a fab place, fancy hotel, which allows dogs and is very family friendly too.